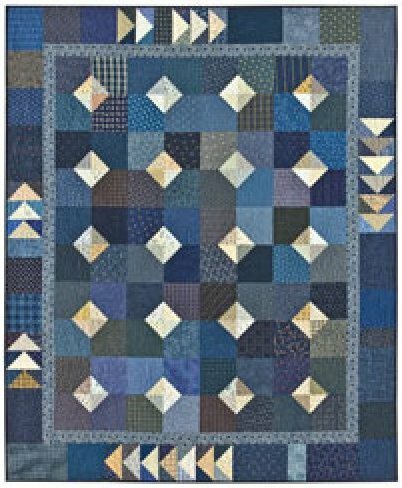 This is the perfect quilt to use a lot of the fabrics in your favorite color! Construction is a breeze as the 6" blocks are made with only one Connector Corner! Make the outer border from leftover scraps and finish it off with a bunch of Flying Geese. The blocks are simple, but the end result is quite pleasing! Quilt measures approx 64" x 76"